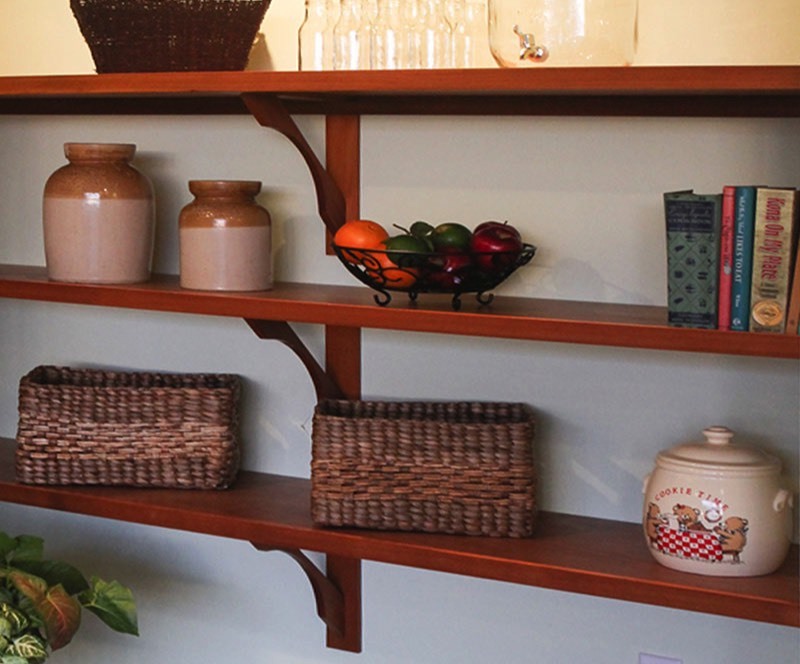 Stylish, well crafted and efficient home storage systems have never been so affordable. 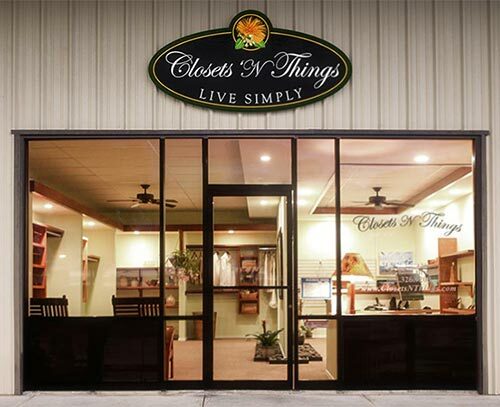 Closets 'N Things is a new business dedicated to bringing elegant storage solutions for clothes closets and pantries to Kona and West Hawaii homeowners. We offer a reasonably priced alternative to the mass produced closet systems offered by the big box home improvement stores and franchise storage businesses that depend on suppliers that are thousands of miles away. 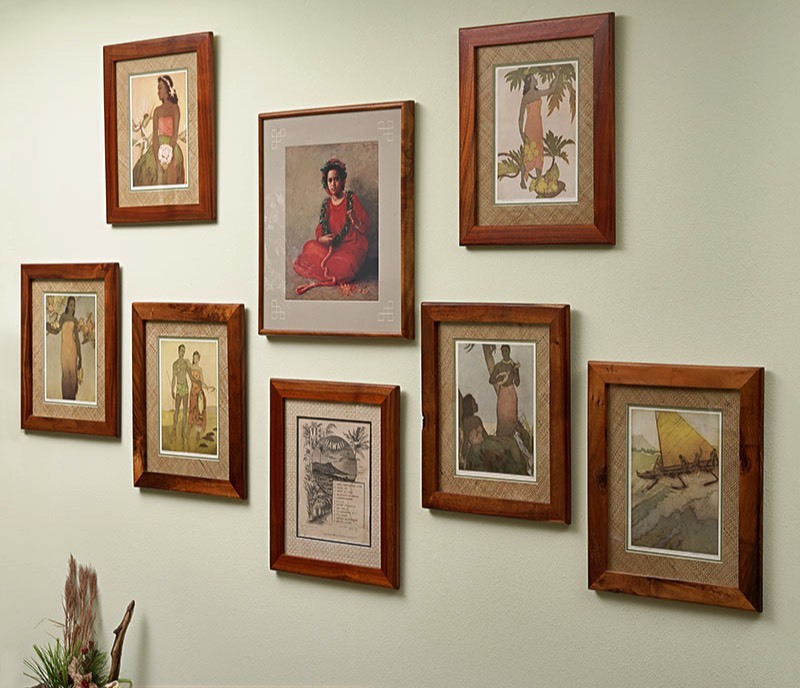 As licensed contractors working on the Big Island since 1989, we are the local alternative to factory made closet systems. By utilizing a select core of established suppliers and specialty resources, we can provide a distinctive, durable, custom made closet system with a rapid end to end product delivery; a superior system that is not only highly functional, but visually beautiful as well. For the price of particle board and or melamine, you will have a hand finished furniture grade storage system. It's heirloom quality for the same price as sawdust, plastic and glue.  Best of all: our price includes complete installation in the greater Kona area. Our standard 8' closet units are custom made from 3/4" thick hardwood plywood, edged with hardwood nosing. As with all our closet systems, they are hand milled, stained and finished to a soft satin texture. The closet rods are rigid oval chrome, and add a distinctive flair to the system in replacing the standard wooden dowel or galvanized pipe. Custom fitting and installation on site are included in the price. 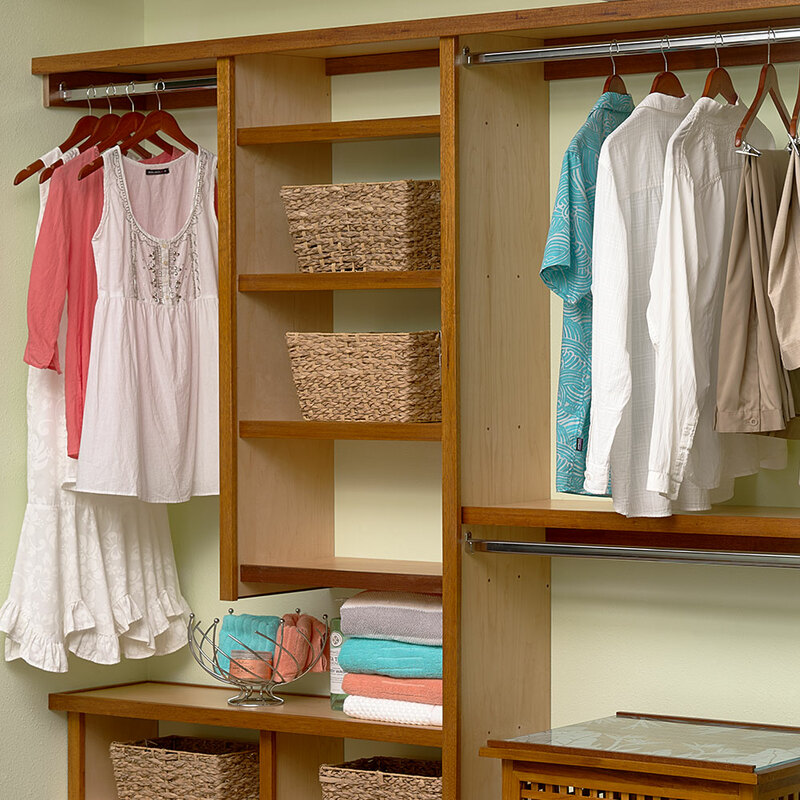 Shelving and hanging clothes configurations are custom tailored to your needs and space. 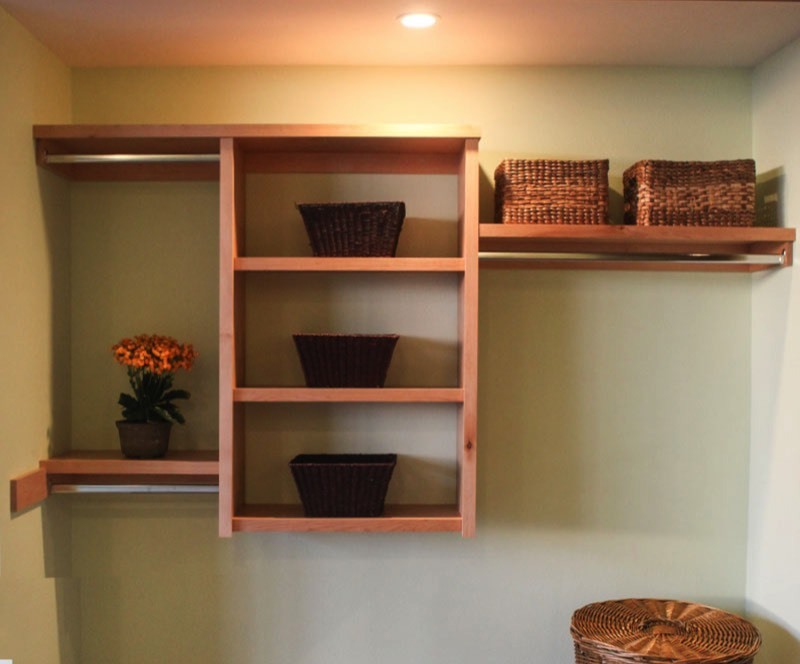 Our prices are based on spanning 8' of wall space and using a comparable amount of shelving as shown in our demo closets. Larger closets, additional shelves and atypical installation challenges are quoted individually. Our newest, most versatile design. Maple plywood with hardwood mahogany nosing, featuring a stylish contrast of colors. In most cases, we only require three days lead time for fabrication prior to in home fitting and installation. 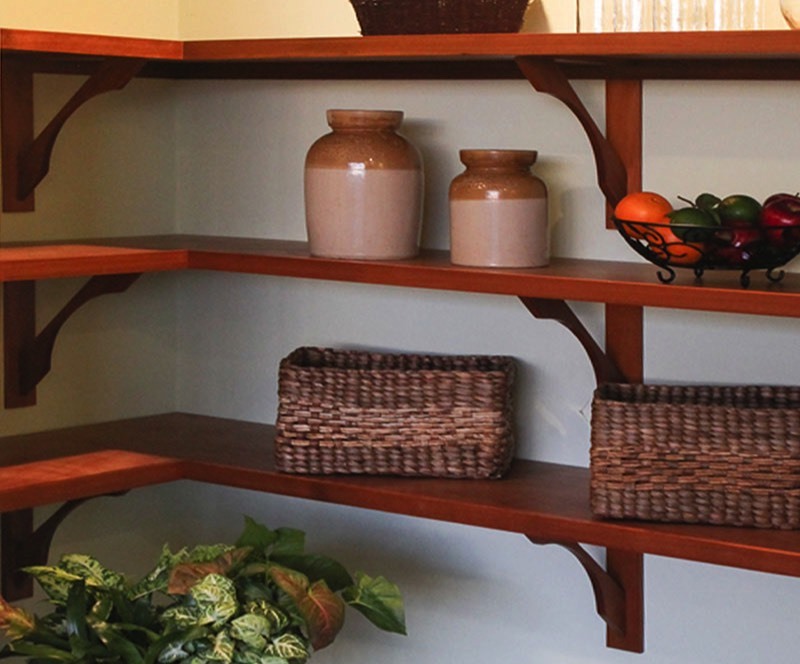 Our pantry shelving is made from the same quality hardwoods as our closet shelving systems. 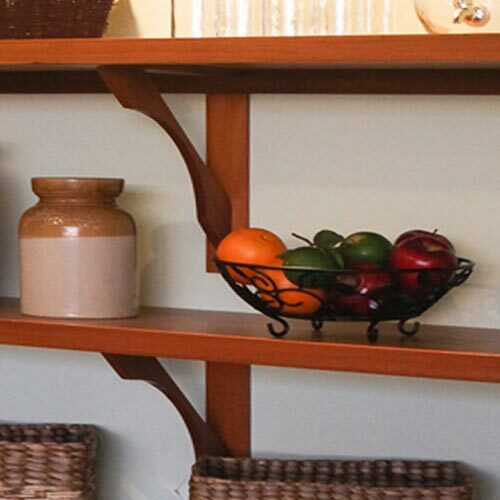 Shelving is supported by custom wood corbels of our own design. We encourage wood species integration, to provide you with your own unique flair. Because of the wide variety of sizes and configurations of pantries, Please come in for a free, no-obligation design quote. In most cases, we only require three days lead time for fabrication prior to installation. 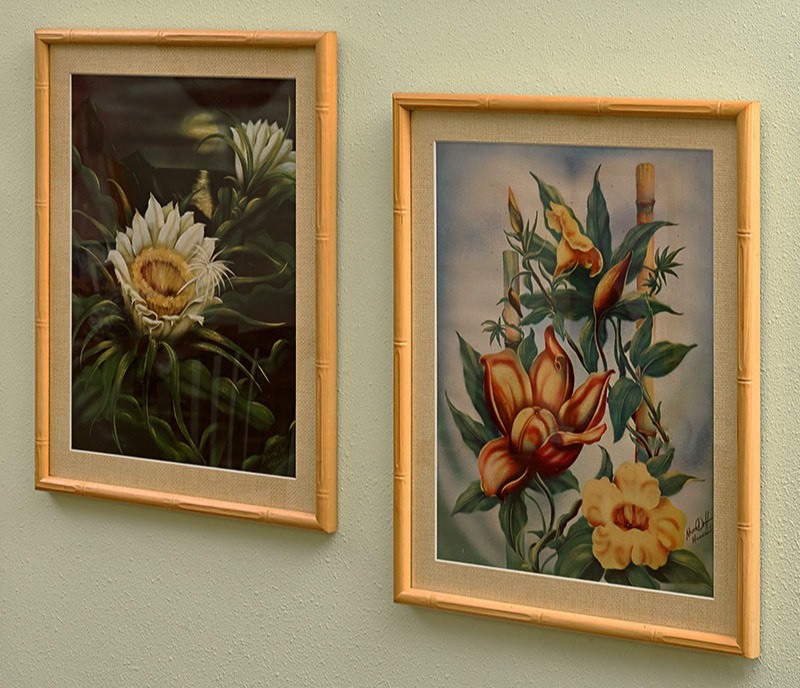 Handpicked from selected art galleries and accumulated over the years. 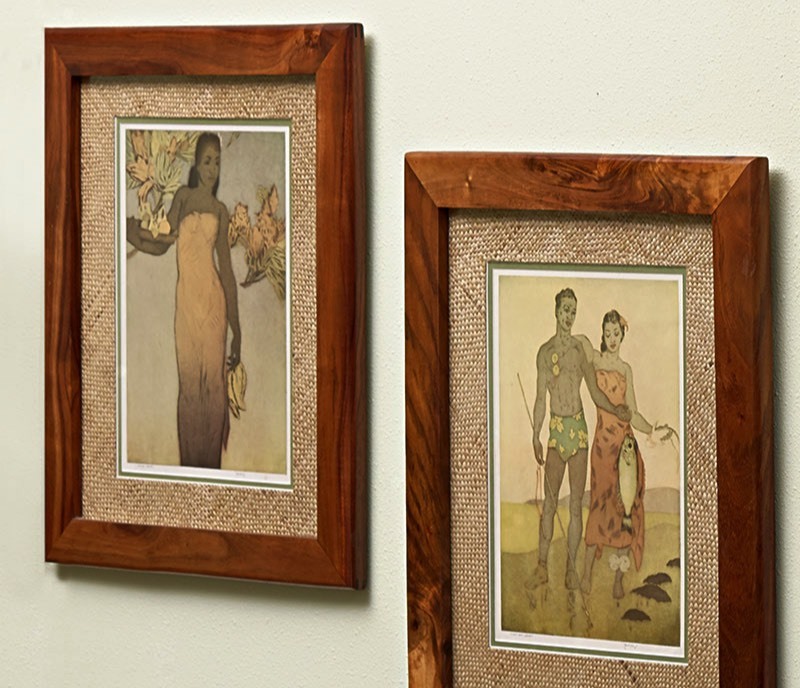 We offer Hawaii themed vintage art from the late 1920's to the early 1950's. Prints and originals, featuring artists Mundorff, Kelly, Heckman, and Freeman to name a few. This historic art provides a nostalgic taste of an era long since gone. Closets 'N Things is a small, customer focused local business, owned and operated by Robin and Beth Wells of Kealakekua. Robin has been a contractor on the Big Island since 1989, working on all scales of residential and commercial properties as Waiola Construction. From a simple farm structure to ultra luxury homes, we have drawn from this knowledge in creating a storage system where the focus is on developing a softer approach to design in all of our systems. We started this business to provide an affordable alternative for everyone regardless of status, and we hope that from what we can create collectively, you will have a feeling of delight every time you open that door. Please stop by our showroom to view and create your new closet today. LIVE SIMPLY. Our sign says it all. 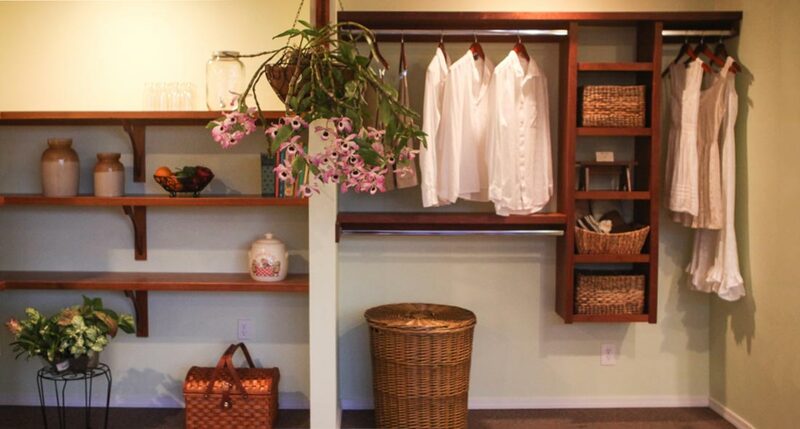 We strive to provide clients with both a stylish and affordable storage system for your home. We accomplish this by using only premium laminated plywood shelving with a variety of exotic and common hardwood nosing, while creating each individual system for stylish artistry and function. 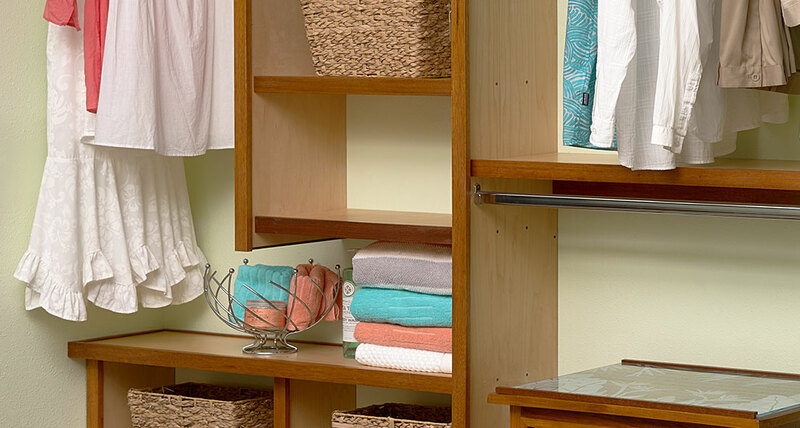 A Closets 'N Things system is the quintessential offering for island living, while providing outstanding value that will endure the test of time. 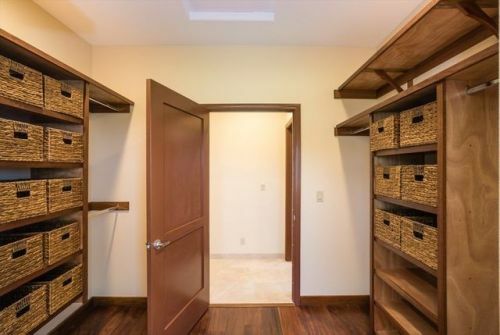 We are all dealing with limited space and wanting to maximize the useful storage in our homes, especially in our closet areas. If you cannot see what you have, or it is inefficiently organized or displayed, you forget things you have and might even re-purchase things unnecessarily. 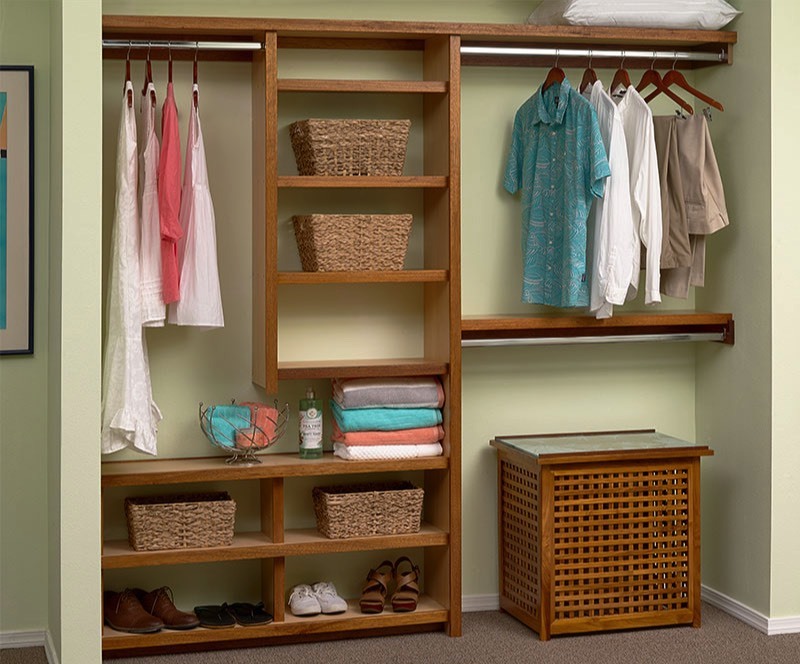 Closets 'n Things Robin Wells and his team do an exceptional job of re-designing your closet space, no matter what size, to make it more efficient and useful as well as truly beautiful. In addition,we found him to be very tidy in completing the construction of our closet systems. There was no extra clean up for us, and they seemed very focused to delivering a quality, affordable product. Their wonderful new showroom previews an assortment for features you can customize into your closet needs. A definite 'thumbs up'. 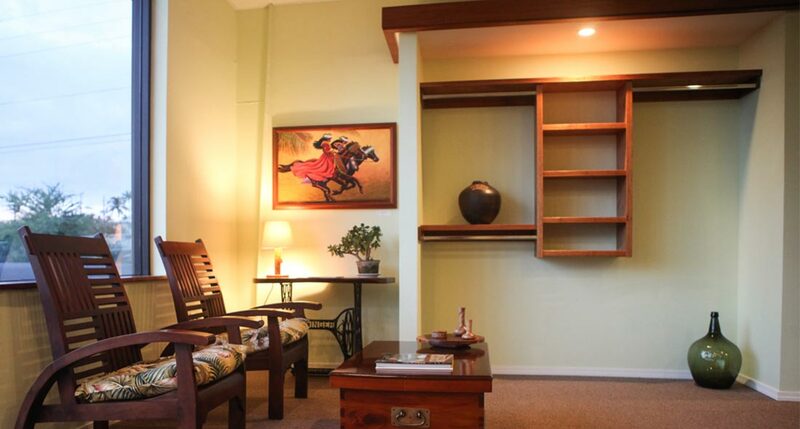 We recently had Closets 'N Things build a custom 5 shelf bookshelf for our living room. 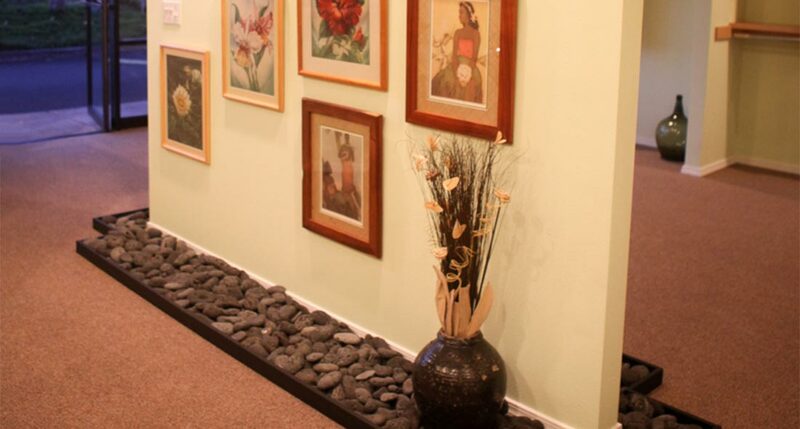 The entire building and installation process was done with great attention to detail, in keeping with the high standards of the owners of this family-owned business. We were thrilled with the final product and enjoyed the whole experience of dealing with Robin and Beth. The cost for such custom built, beautiful workmanship is very reasonable as well. We look forward to designing our next set of shelves and closets with Closets "N Things. 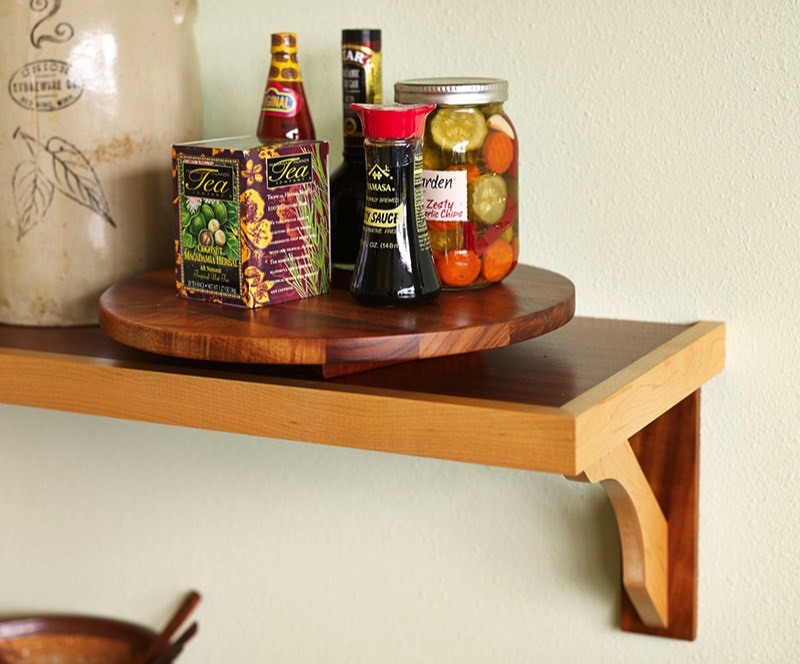 Check out the shelving options at their store in Kona before you decide to buy anything else. I hired Robin to design and install his beautiful system in my very large closet. 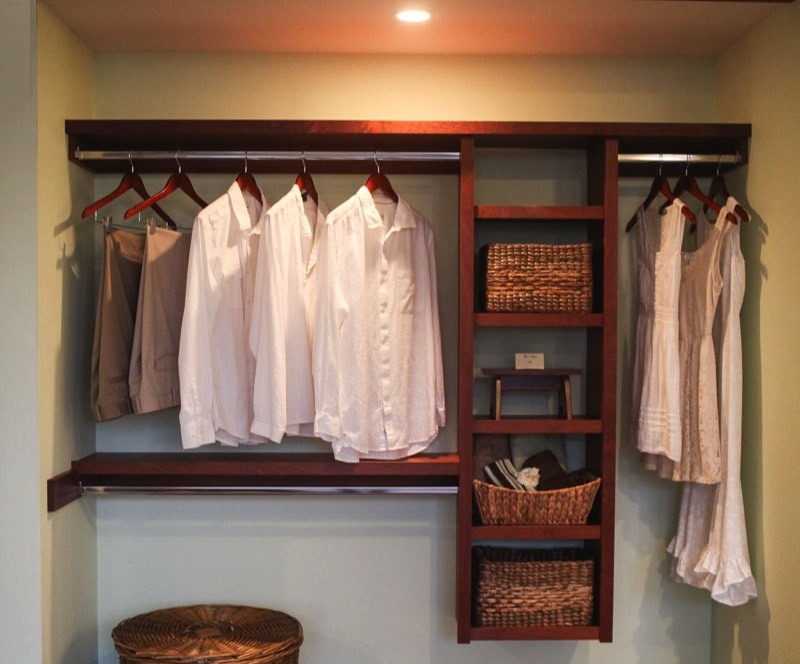 His and his wife were very easy to work with and the closet is now beautiful. He was very precise and creative in his design. I thoroughly enjoyed working with him and I'm very happy with the result. I have known Robin Wells and his family for nearly two decades. Robin has done various construction tasks, including building my law offices. 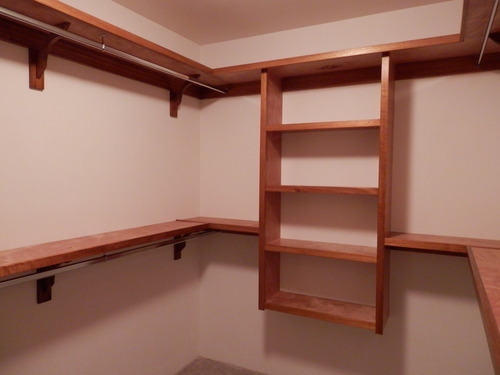 He has also built shelving, cabinetry and done other finish carpentry jobs. Robin has proven to be extremely reliable and competent in his work and attention to detail. I have recommended him to others, who have expressed the same experiences. Without hesitation I would commend Robin Wells for jobs calling for skill and high quality construction. I would highly recommend Robin and his services. He came out, measured, drew up plans and installed our closet system himself. It is beautiful. He is easy to deal with and does an impeccable job while maintaining the highest standards. It was a pleasure working with him and his company. I have known Robin for 24 years. 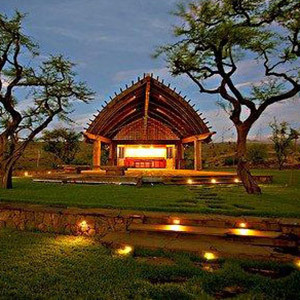 As owner of Wailoa Construction he has worked on projects at my home and for my clients. I visited his new store, Closets ‘N Things, in Kailua Kona and was very impressed with the beauty of their offerings and his vision for this new venture. John L Hetherington (aka Lars), Architect, A.I.A. We have known Robin Wells for many years and can vouch for his integrity and professionalism. 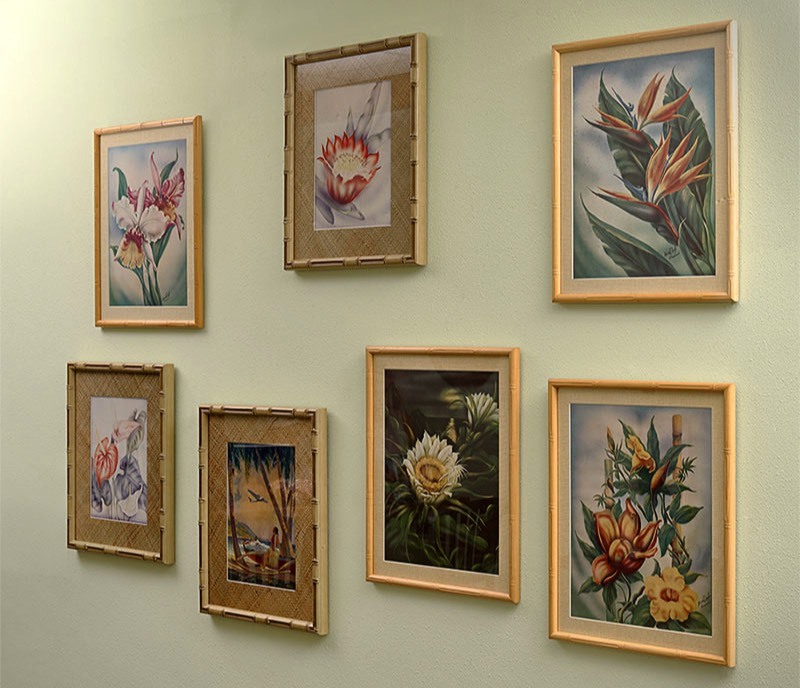 He is a skilled carpenter as well as a licensed contractor. He has built furniture for us, as well as overseen and done major renovations on our house. He also added special touches and made suggestions to our plans, which we are grateful for to this day. Trust Robin Wells and his new venture CLOSETS 'N THINGS for quality products! 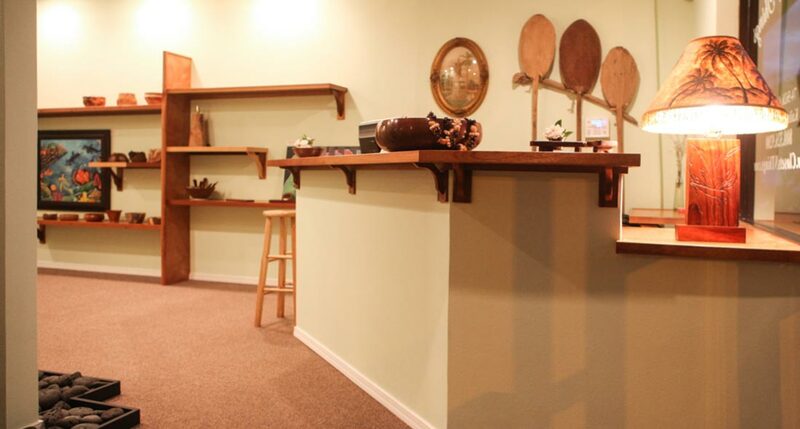 Stop by our new showroom in Kona's Old Industrial Area. With all modesty, we think you really need to see our offerings first hand to truly appreciate them. We love the look on client's faces when they realize that they can have furniture quality closet systems for such a great price … and have them installed and functional in their own home in under a week! Here’s a sampling of two closet’s that now have massive storage space in a very limited space. Give us a call or stop by our show room and lets design a system to let you “ Live Simply”!!! What’s in your closet? This is just a preview of some of Julie Joelle Eliason’s work. 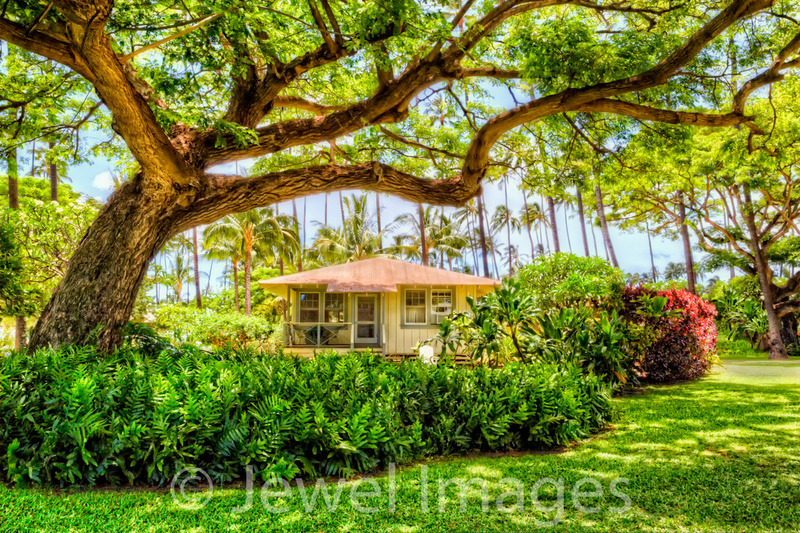 This photo has captured the simplicity of a time long ago in Hawaii nei. We are delighted to announce a new addition to our store the art work featuring artist Julie Joelle Eliason. Julie Joelle Eliason worked as a marine biologist and wildlife biologist for over twenty-five years. 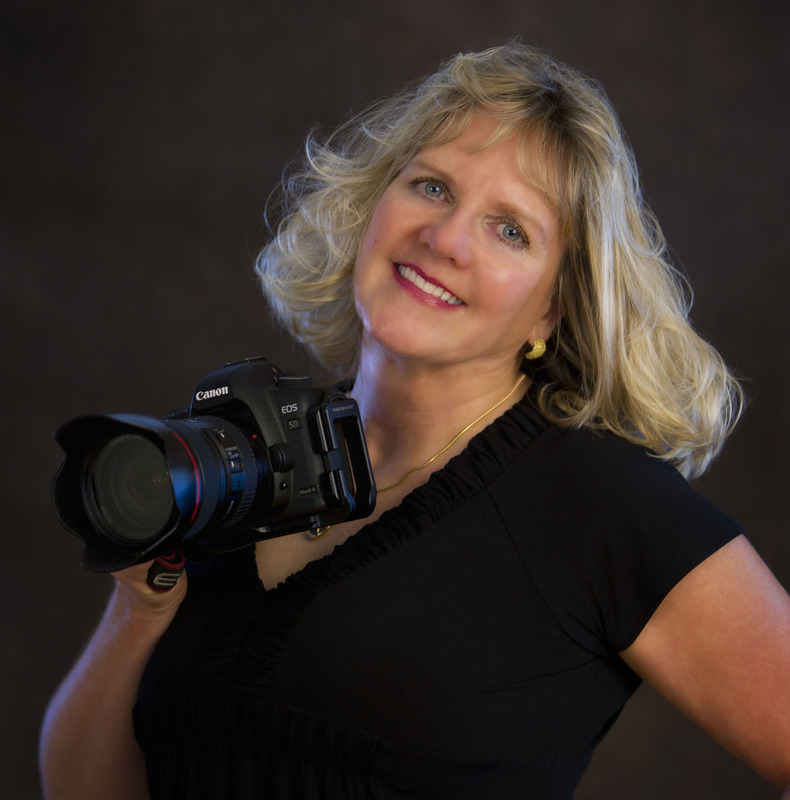 Her work and travels have taken her to many unique, isolated environments where she tries to capture the essence of the area’s landscape and wildlife inhabitants through her photography. She uses color and black and white photography, as well as photographic montages and photographic painting as her palette for interpreting her images. She strives to capture the design of nature and display it to viewers so that they gain an appreciation for the beauty and fragility of the natural environment. Her life’s passion has been to protect wildlife species and the habitat they need to survive. “I met Robin at the Kailua stroll and immediately liked him and his wife, Beth. 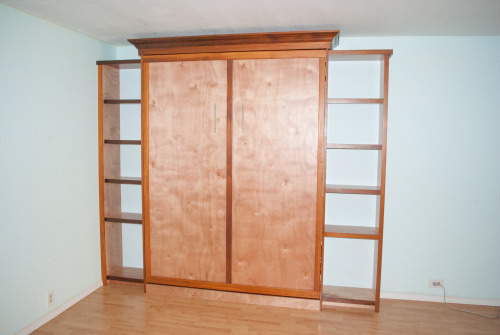 I mentioned that I was looking for a Murphy bed and Robin said he could build anything. This is true. 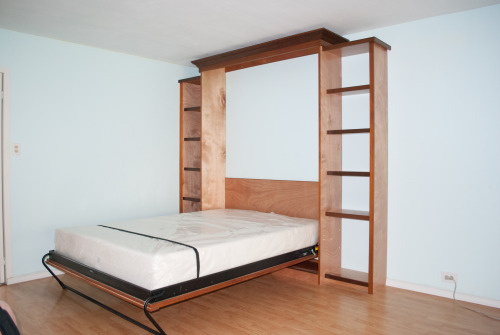 He stepped up to the challenge and built me a Murphy bed and it turned out perfect. Working with him was a joy and I’m hoping that he will help me now with my kitchen cabinetry! Thank you Robin and Beth. It’s nice to have met you, worked with you, and now consider you my new friends.” Thanks, Monica for the great review on the Murphy bed. This is our first effort at designing, handcrafting, and installing a Murphy bed. Our very first closet! Built for Rene and Derek Inaba. I believe Rene was the primary designer for this system. 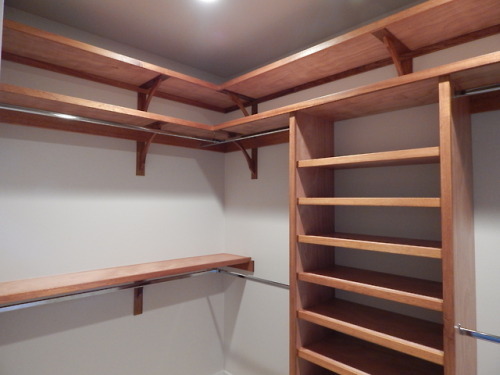 She accessed her storage needs and created a very functional and simple closet system. We tried to minimalize the design to installation time frame of this build so as not to impact their daily routine. We added a few wood corbels for structural strength which also created an ambiance that fit in nicely with the rest of the system. We'd love to hear from you, and are here to help. What's on your mind?